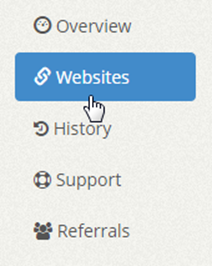 Where is the site id for my website? 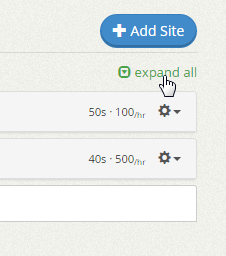 You can locate the site id of your website by expanding the website campaign panel. At the top right just above the Geo-targeting box there will be the site-id of the campaign. It is in a small gray font. Why is my website campaign suspended? Your website campaign can be suspended for breaking our general terms and program policy. We have the right to suspend any URL along with the related account if we see any material that is deemed illegal, suspicious, harmful or offensive in nature. Why is my website campaign expired? If you have an expired campaign, this means that your account does not have enough website slots to keep the campaigns running. Your URL slots will be downgraded if you did not pay for the booster packs or upgrade plan for the month. 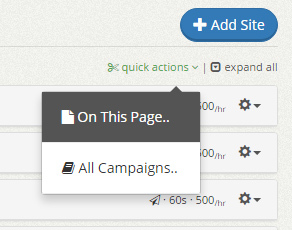 You can keep the campaigns active again by upgrading your plan and purchasing extra website slots again. 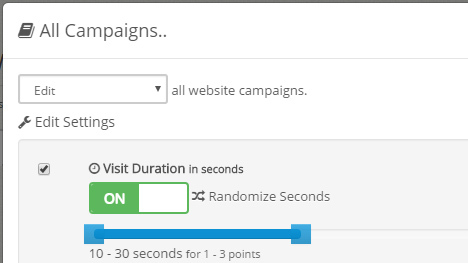 Why does my website campaign have a warning sign? The warning sign with an exclamation is an indication that some features may not be working for the campaign. When you create a campaign on a plan like Business or Pro and your account is downgraded for example from Pro to Basic, the account will no longer have the custom traffic source feature. Even though the setting is set to enabled, it is no longer working unless you upgrade your plan to Pro or Business again. 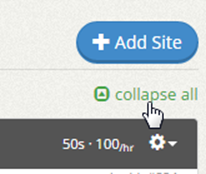 If you expand the website campaign panel with the warning sign, you’ll see which settings are not working. Once upgraded, the warning sign will be removed. 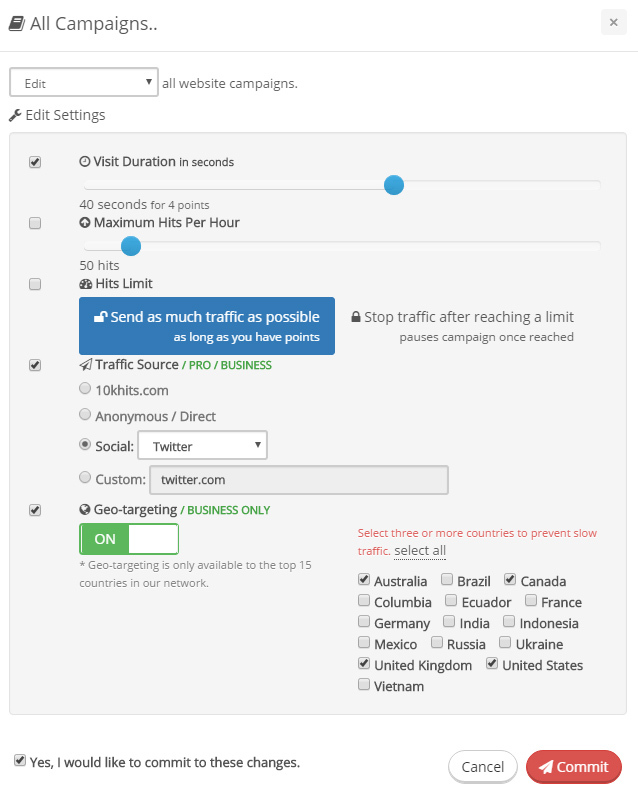 If you do not wish to upgrade, you can also disable the geo-targeting and/or white-label traffic in the manage site settings to remove the warning sign from the campaign.